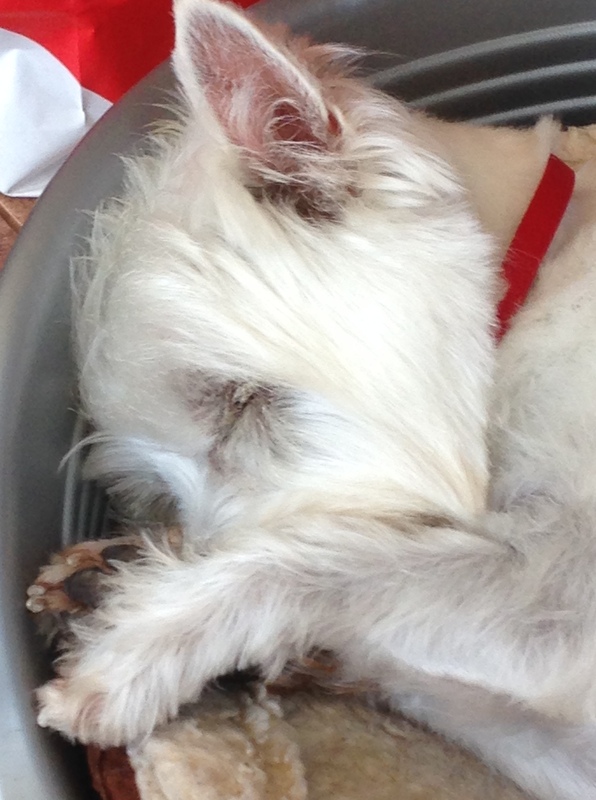 A recent mishap with my gorgeous but stubbornly independent five year old West Highland Terrier, when she escaped through an open gate, barely avoided getting knocked down and had to be chased before eventually getting caught, reminded me that I had lapsed with the dog training I learned from Dave Brunnock. I first met Dave when, after two months of trying to explain to my gorgeous new pup the meaning of the word ‘No’, failing and being surrounded by chewed shoes, computer cables and furniture, I enrolled us for puppy training class. A certified dog trainer and behaviour practitioner, Dave believes most bad dog behaviours can be fixed no matter what age the dog is. However if you take your puppy to training classes where they and the family will develop skills to communicate with the dog and socialise the pet, it may prevent people from giving up, and giving their puppies or dogs away. “I think people take on too much. There’s no need to give your dog to a rescue centre or the pound, you can fix 99 per cent of the problems. People don’t put enough thought in before they get the dog. They don’t pick the right dog for their lifestyle. If you are very active get an active dog but if you are not, don’t. “You need to think long and hard about what would suit you best for the next ten or twenty years. Get a dog or pup to suit your lifestyle. If you are a placid person don’t get a hyper dog. If you are into jogging get a high energy dog. “You could pick up a good dog from a rescue centre or the pound. Ireland is over flowing with dogs, there’s thousands of dogs out there that nobody wants,” said Dave. Dave trains all breeds of dogs from Jack Russells to Great Dane’s, but he says, people don’t need to have pure bred dogs in order to train them, he has found that Rescue dogs make excellent family pets and can be easily trained. He uses gentle, but effective methods which have been proven to work internationally with thousands of dogs, and tailors the training to suit each dog and their owner. According to Dave, much bad behaviour in dogs can be prevented by taking them to puppy training classes, which lays a foundation for future training and also socialises them which is extremely important, as dogs that have not been socialised can be fearful and aggressive. For Dave, dog training is about team work, motivation, communication, trust and building a stronger bond between the owner and their dog, and in the classes he gives owners the tools to do this, as he says, dogs are a totally different species and they have to be treated with compassion. Dave believes that ideally, a dog should be kept in the house as a part of the family, where they learn something everyday, not locked out in the back yard where the isolation can affect their ability to learn. He says having a dog means making a commitment to exercise your dog twice a day, give them mental and physical stimulation and training the dog, which only takes a few minutes a day. “Sometimes people think their dog is the boldest dog, even the boldest dog can be turned around if you work on it. It’s all about communicating with the dog and getting them to understand what you want. “They have to learn your language, a certain few words like heel, sit, down, come, go to bed, get off. If you set these boundaries and rules when they are puppies, you won’t have any behaviour problems when they are older. A full-time certified dog trainer and behaviour practitioner since 2003, Dave has been training dogs for over 30 years. He trained gun dogs for 20 years, successfully competing in field trial competitions, and has trained dogs for many different purposes, but now mostly works with family dogs, working dogs and puppies. A professional member of the IACP (International Association of Canine Professionals), Dave also holds a certificate in Canine Psychology and has trained a wide variety of dog breeds. Since 2000, Dave has completed numerous courses on Canine Behaviour and Training, as well as a professional dog trainer’s programme with well known Canadian trainer Ben Kersen and the Wonder dogs in British Columbia, Canada. 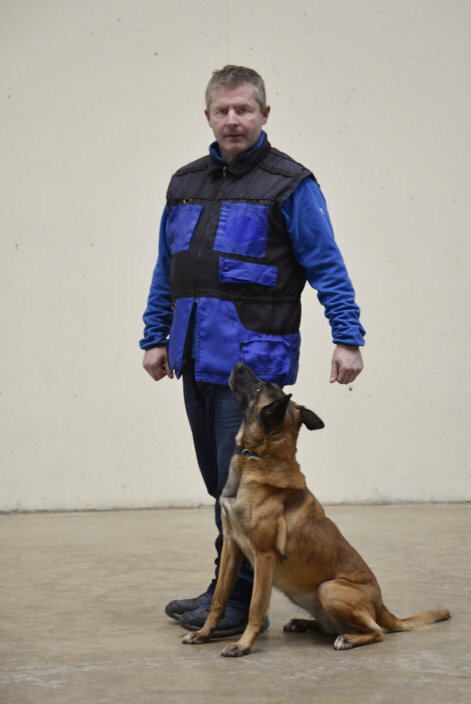 In 2006 Dave Completed a course in Dubuque Iowa with renowned American trainer Robin McFarlane, and a course on modern reinforcement training with Mark Fulmar, Sarah Setter Kennels in South Carolina, USA. In 2011 he graduated from Randy Hare’s Scent Detection Trainer’s Course. Randy is one of America’s top police K9 scent detection trainers. Dave also completed several courses with the Canine and Feline Behaviour Association in the UK, and continuously updates his skills by attending courses and seminars with some of the worlds top professional dog trainers. So, it’s back to basics for Missy and me, I need to get back on track with her training, so I don’t have a runaway dog again. As Dave says, dog training needs regular maintenance, the puppy training class is just the first stage of training, there’s a lot more to be learned by dog and owner if you want a well trained dog.